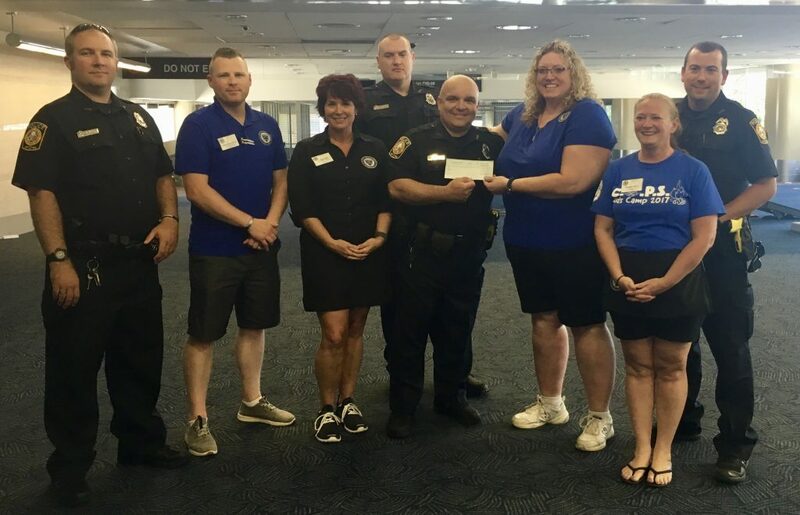 On July 8, 2018, members of the Green Bay Fraternal Order of Police traveled to General Mitchell Airport in Milwaukee to greet surviving children and their parents/guardians of law enforcement officers who died in the line of duty across the country as they arrived for the annual Concerns of Police Survivors (C.O.P.S.) Kids Camp. Every year, Green Bay FOP is proud to donate a portion of our annual golf outing to WI C.O.P.S. This year, our members presented WI C.O.P.S. with a check for $5,425.80. Thank you WI C.O.P.S. for everything you do and the resources you provide to help rebuild shattered lives. We look forward to continuing our support!